A timely and refreshing memoir. Our food is killing us. That's the consensus of policymakers, politicians, scientists, and environmental advocates—from the excess carbohydrates that give us diabetes to the "factory farm" practices that degrade our land, we're living through a set of overlapping crises that affect our health and the environment at large. From a theological perspective, these pathologies bedevil the dirt we were made from and the bodies God has fashioned for us, pushing both beyond their natural limits as we succumb to a variety of destructive personal and corporate habits. Most literary engagement with this topic has focused on the larger economic and cultural systems that harm us or the doctrinal foundation for stewardship of Creation (for example, in the works of Wendell Berry or Norman Wirzba). Matthew Lee Anderson's Earthen Vessels took on these issues and thoughtfully applied them to the practicalities of individual bodies, but never revealed much about the author except for the fact that he is young and relatively healthy. 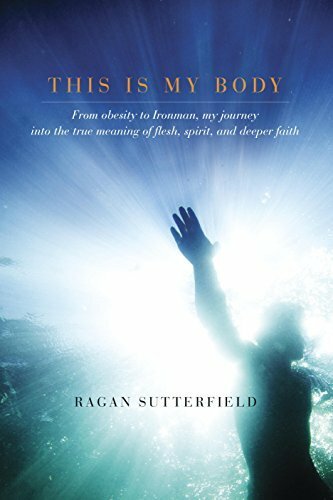 Ragan Sutterfield's memoir This Is My Body, by contrast, brings a personal perspective to the discussion, highlighting not only how we should think about how bodies and the earth but how we can resist the eating habits that can kill both body and soul. Sutterfield begins his story with his experiences in church youth group and how he learned that the body is dangerous (because of sexual temptation) and ephemeral (because of premillennial eschatology.) Such teaching, he points out, is comparable to magazine covers showing off the right kind of bodies or medical testing that boils one's health down to a set of test results. As a physician who orders these tests on a daily basis, I agree wholeheartedly that a good set of cholesterol numbers is not good enough—patients come to me all the time asking to be "tested for everything," and I try to explain that (for the most part) that their habits, choices, environment, and relationships have far more to do with their health than the lab values I obtain. I welcome this book because it deals with all of these things and grapples with a variety of distorted perspectives that people have imbibed about their health, from the overly scientific to the inapplicably spiritual. Sutterfield alternates a chronological memoir of his life and health with his preparatory training for an Ironman triathlon. As someone who has never enjoyed endurance sports of any kind, I found his descriptions of running, swimming, and biking rather engaging and his reasoning for pushing his body through them intriguing. He admits very early in the book that running marathons is less healthy than milder forms of exercise and that we would all be better off eating good food ("the kind that comes straight from the earth") and going on long walks. These detailed descriptions help the reader understand how meaningful such grueling exercise is to Sutterfield—he recounts pushing on beyond what his body can handle as a spiritual experience where his mind, body, and spirit are focused in prayer. His race tactic of "perpetual forward motion" — a common athlete's motto— is an act of spiritual submission, a matter of mastering his will to honor his Creator. Hence Sutterfield's chronicle of his struggles to discipline his body in preparation for these extraordinarily long races will be applicable for all readers who have felt their body demanding one thing and their will calling for another, not just to those who are drawn to extreme sports. Narratives like this one remind us how toilsome discipline is—but also how achievable it is, too. From a young age, Sutterfield struggled with his weight, though it was in adolescence that it became particularly shameful, and he recounts throughout the book how he used exercise to combat his shame (like a form of penitential torture, even!) or get something else that he wanted. His account of how and why his weight yo-yoed well above and below 200 pounds is one of the most instructive parts of this book: there's no simplistic explanation for the excess fat that shames him, holds him back in relationships, slows down his exercise, and threatens his present and future health. He explains how each of those things made the weight gain worse, and he acknowledges a genetic predisposition that disadvantages him even further, but he never sees himself a victim of circumstance—rather, he consistently affirms his own ability to think and act differently to take care of his body. While those of us who want our bodies and our land to be healthier should call for policy changes in how our food is grown and distributed, there will have to be a commensurate revolution in how we consume that will require individuals and families to be disciplined in how they partake. Sutterfield writes that his excess weight "began to slip away as I accepted the reality of myself," and it is this confrontation with the physical and spiritual reality of our human limits that makes his book so powerful. This is not just a personal recollection, though—he brings deep theological and philosophical reasoning to bear on this question, ranging from Augustine to Dallas Willard. With the trial and failure of each new diet-and-exercise regimen, Sutterfield unpacks a new facet of how his health is shaped by his spiritual discipline (or lack thereof) and how transformative it is to recognize that his body is a gift from God meant to enjoy the fullness of Creation.